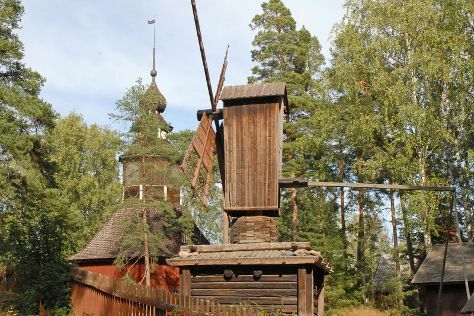 Visit Seurasaari Island and Open-Air Museum and Mannerheim Museum for their historical value. You'll explore the less-touristy side of things at Room Escape Games and Nuuksio National Park. Get out of town with these interesting Helsinki side-trips: Arctic Expedition (in Espoo) and Sipoonkorven Kansallispuisto (in Vantaa). There's still lots to do: admire the masterpieces at Kansallisgalleria, hike along Uutelan luontopolku, admire the natural beauty at Observatory Hill Park, and contemplate the long history of Pohjolan toimitalo. For where to stay, more things to do, maps, and tourist information, read our Helsinki online attractions planner . Bern, Switzerland to Helsinki is an approximately 7-hour combination of train and flight. You can also fly; or drive. Traveling from Bern to Helsinki, you'll lose 1 hour due to the time zone difference. Expect a bit cooler temperatures when traveling from Bern in April; daily highs in Helsinki reach 9°C and lows reach 0°C. Wrap up your sightseeing on the 30th (Tue) early enough to travel to Loviisa. Loviisa is a municipality and town of inhabitants on the southern coast of Finland. 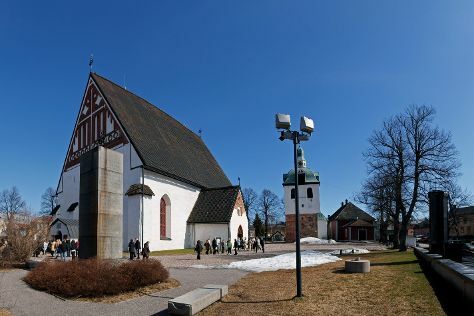 Start off your visit on the 1st (Wed): pause for some serene contemplation at Loviisan kirkko, contemplate the long history of The Runeberg Home, appreciate the extensive heritage of Castle Hill, then admire the landmark architecture of Cathedral of Porvoo, then stroll through Fredrika Runebergs Park, and finally don't miss a visit to Porvoo Old Town. Get ready for a full day of sightseeing on the next day: contemplate the long history of Ungern and Rosen Fortresses, examine the collection at Porvoo Museum/Holm House, and then look for gifts at Riimikko. For where to stay, other places to visit, maps, and more tourist information, read Loviisa driving holiday planner. You can drive from Helsinki to Loviisa in 1.5 hours. In April, daily temperatures in Loviisa can reach 8°C, while at night they dip to -1°C. Finish your sightseeing early on the 2nd (Thu) to allow enough time to travel back home.